PM Mateusz Morawiecki told an online news service that “there is a good chance of an agreement, of finding a compromise that would be acceptable to both sides”. There are strong odds of Poland’s Prime Minister Mateusz Morawiecki has little doubt his country will reach an agreement with Brussels over disputed legal changes. He told an online news service that “there is a good chance of an agreement, of finding a compromise that would be acceptable to both sides”. 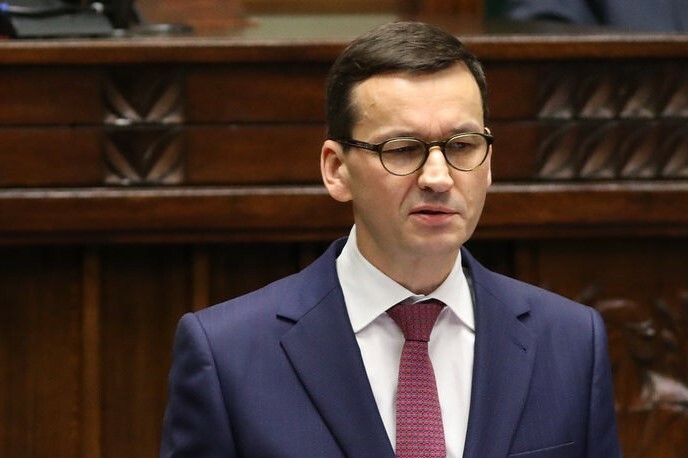 Morawiecki told the wPolityce.pl website that the odds of Warsaw striking a deal with Brussels can be estimated at around “65 to 70% at the moment”. As reported by Radio Poland, the European Commission in December took the unprecedented step of triggering Article 7 of the EU Treaty against Poland over controversial changes to the justice system by the country’s ruling conservatives. Last week, Poland’s foreign minister, Jacek Czaputowicz, said Poland wanted Brussels to withdraw its Article 7 procedure against Warsaw. He was speaking after the country’s ruling conservatives signalled they were ready to accommodate some of the EU executive’s recommendations over sweeping changes to the court system in Poland. “Compromise is always when both sides make some concessions. Sometimes it is then said diplomatically that both sides have won or that both sides had to grit their teeth,” said Morawiecki. And after several rounds of talks in Brussels, he said he appreciated the “openness” of his partners, specifically naming European Commission head Jean-Claude Juncker and First Vice-President Frans Timmermans. Meanwhile, Jarosław Kaczyński, leader of Poland’s ruling conservative Law and Justice (PiS) party told wPolityce.pl that his country’s “compromise” with Brussels over the “reform of the judiciary” came at a “considerable” price. He also agreed with a reporter that Poland was paying a “bitter” price for making concessions to Brussels over legal changes.